Hold down! 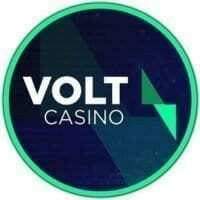 Volt Casino has just informed us that their site will be under construction tomorrow. To be exact, the scheduled time out is at 8AM GMT and should not last for more than 60 minutes. What they will be doing during the maintenance has not been released so most likely there is nothing interesting on the way. Also, there has not been any news of some major issues either, so it is still safe to play on the site. Volt Casino was released last year, at the end of the 2018 by a company called Fair Play Bets Ltd, which was known as the owner of now passed away casino called Diamond World Casino.